"ORNETTE 'N 'TRANE" : the 38th Annual John Coltrane Memorial Concert, co-presented by Friends of John Coltrane Memorial Concert (fJCMC) and Northeastern Center for the Arts. Saturday, October 24, 2015. Oct. 1, 2015 - PRLog -- "ORNETTE 'N 'TRANE" : the 38th Annual John Coltrane Memorial Concert, co-presented by Friends of John Coltrane Memorial Concert (fJCMC) and Northeastern Center for the Arts.Saturday, October 24, at 7:30 pm. Tickets: $30 general admission, $25 students/seniors, $40 VIP [all ticket prices include service charge]. Held in Blackman Theatre, Northeastern University, 360 Huntington Avenue, Boston, MA 02115. For tickets and information, visit www.friendsofjcmc.org. Box office can be reached at: 617-373-4700 (TTY 617-373-2184). The 38th John Coltrane Memorial Concert (JCMC) will be a tribute to the great legacies of creative music pioneered by Ornette Coleman and John Coltrane. The decision by presenter Friends of John Coltrane Memorial Concert (fJCMC) to link Coltrane and Coleman was spurred on by Ornette Coleman’s death earlier this year. It is well-known that both Coltrane and Coleman are considered some of the most advanced and innovative musicians of the 20th and early 21st century, both having been significantly influenced by Charlie Parker. Ornette Coleman had significant impact and influence on the development of John Coltrane’s musical concepts in the 1950’s and 1960’s as related to harmonics, composition and improvisation that were often labeled “free jazz “or “avante garde.” Coltrane had private lessons with Coleman during the late 1950’s. This year’s JCMC ensemble with feature master jazz musicians who also happen to be Boston-based: trumpeters Jason Palmer and Billy Buss; trombonists Jeff Galindo and Rick Stepton; pianist Laszlo Gardony; drummer Yoron Israel; bassist John Lockwood; and Stan Strickland, Carl Atkins, Bobby Tynes and Leonard Brown on reeds and woodwinds. Eric Jackson of WGBHwillserve as hostfor the concert. 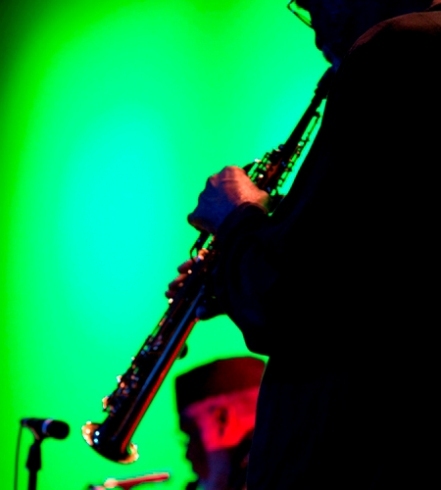 The John Coltrane Memorial Concert is co-produced by saxophonist Leonard Brown, Professor Emeritus of African American Studies & Music at Northeastern University, and keyboardist Emmett G. Price III, Associate Professor of Ethnomusicology and Music Industry at Northeastern and one of the nation's leading experts on African American Music and Culture. Further information on fJCMC can be found at www.friendsofjcmc.org.